An exuberant, hands-on fly-on-the-wall account that combines the thrill of canyoneering and rock climbing with the intellectual sleuthing of archaeology to explore the Anasazi. 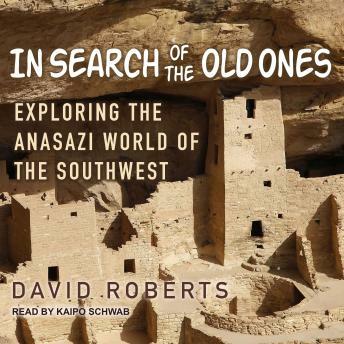 David Roberts describes the culture of the Anasazi-the name means 'enemy ancestors' in Navajo-who once inhabited the Colorado Plateau and whose modern descendants are the Hopi Indians of Arizona. Archaeologists, Roberts writes, have been puzzling over the Anasazi for more than a century, trying to determine the environmental and cultural stresses that caused their society to collapse 700 years ago. He guides us through controversies in the historical record, among them the haunting question of whether the Anasazi committed acts of cannibalism. Roberts's book is full of up-to-date thinking on the culture of the ancient people who lived in the harsh desert country of the Southwest.